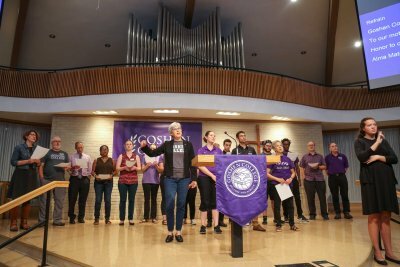 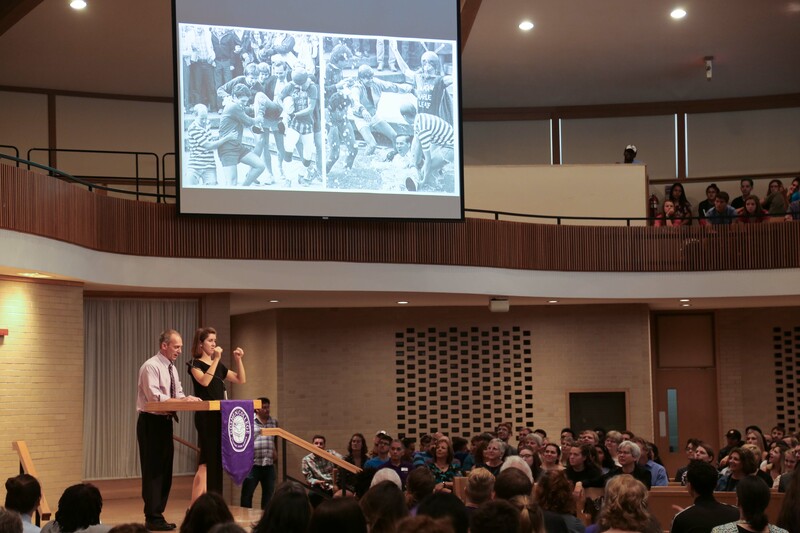 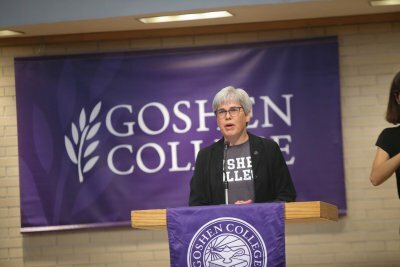 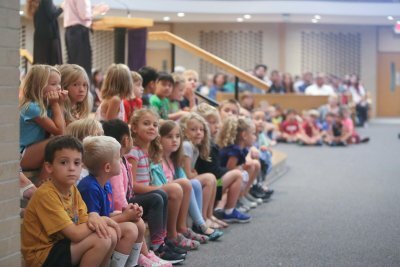 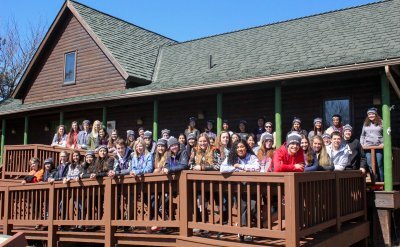 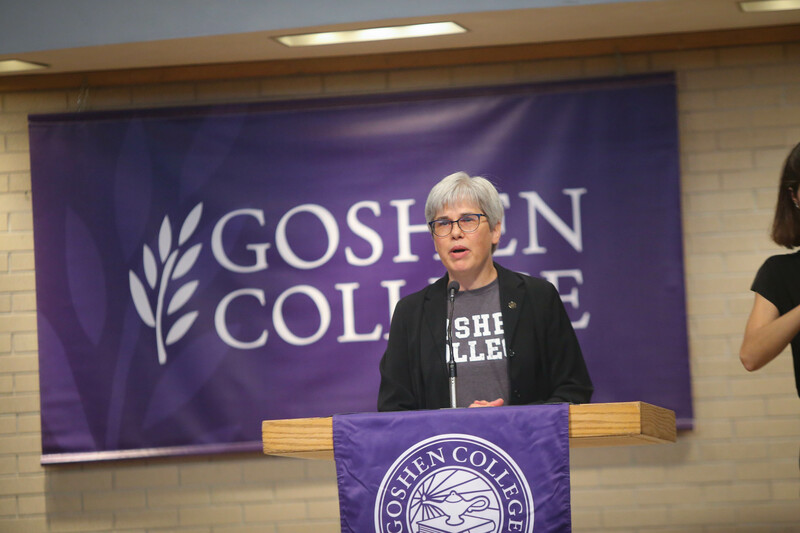 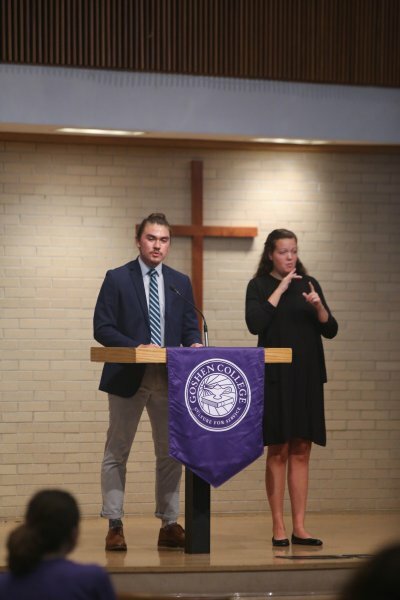 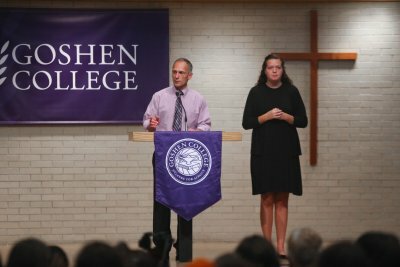 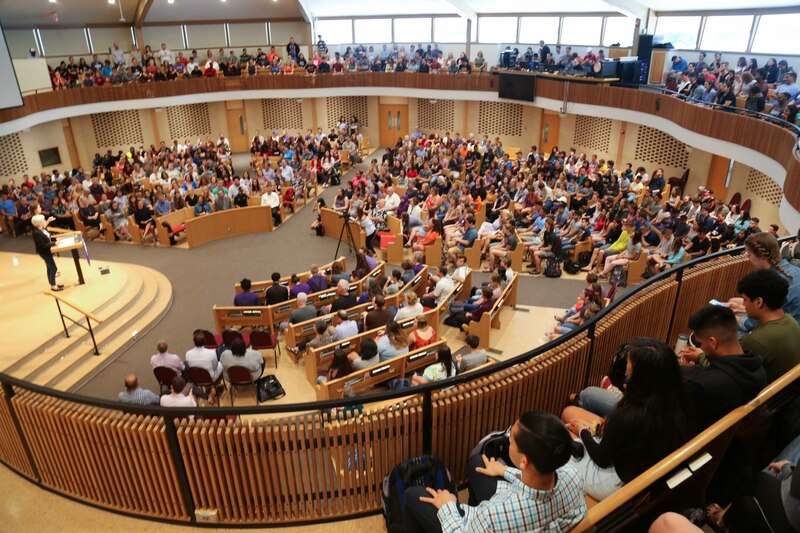 On Wednesday, Aug. 29, during a presidential convocation to open the new school year, President Rebecca Stoltzfus spoke to the campus community about this year’s core value focus of global citizenship. 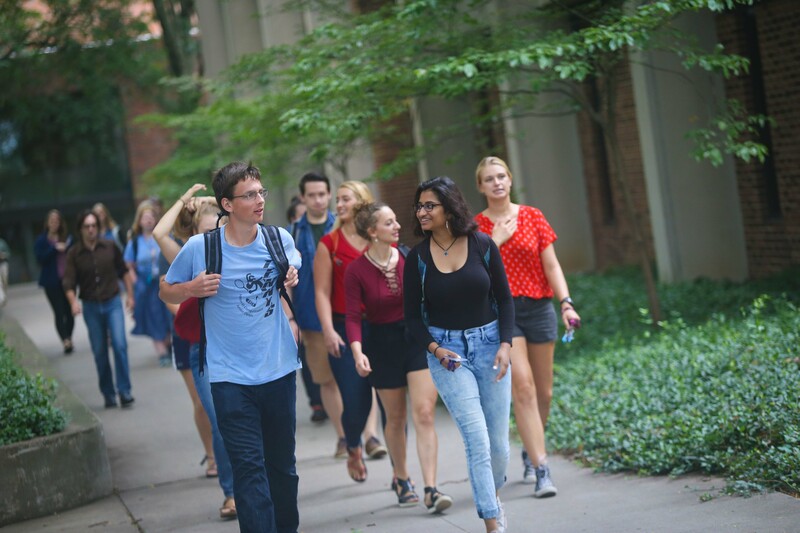 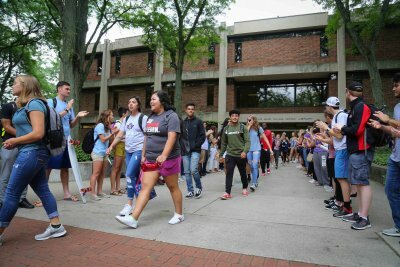 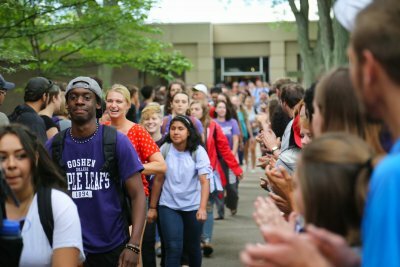 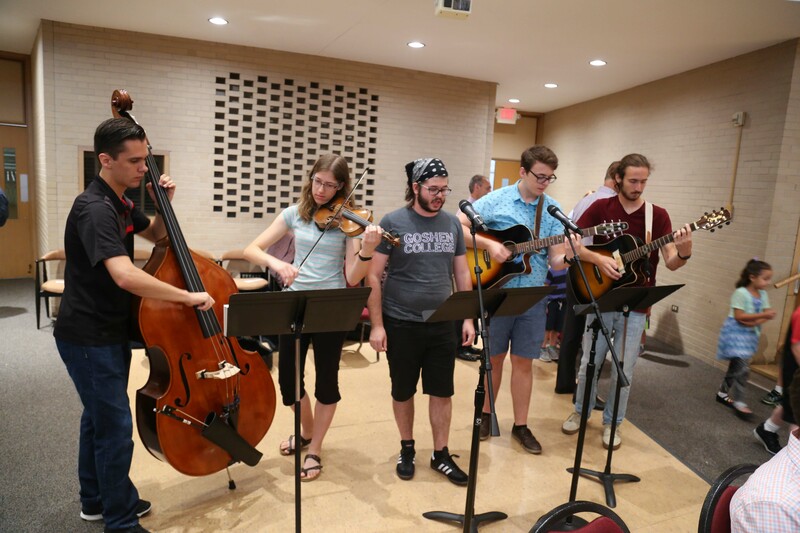 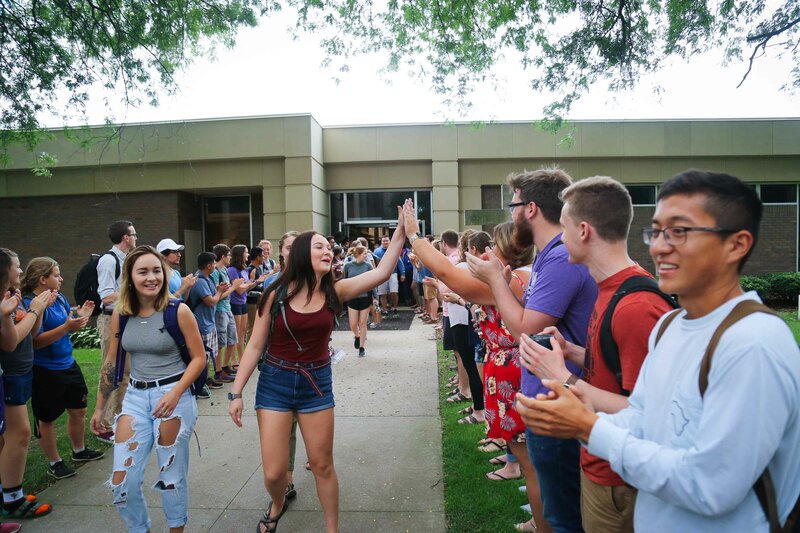 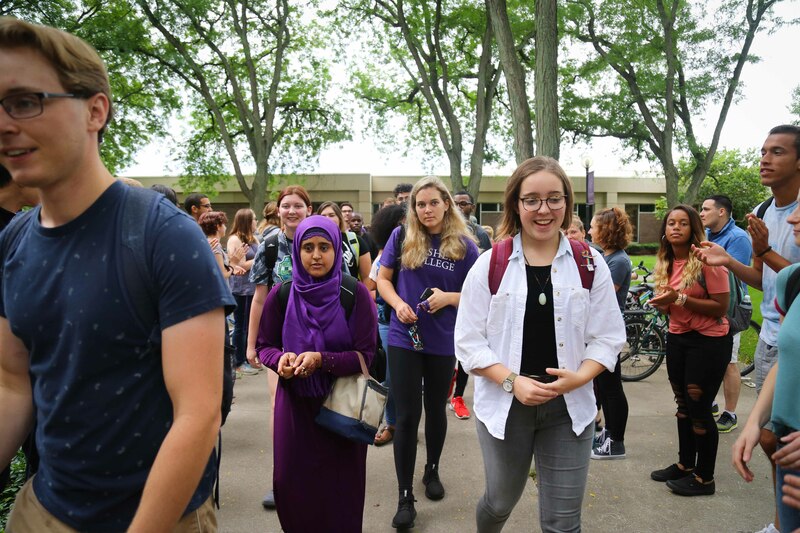 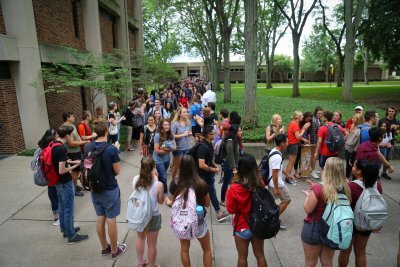 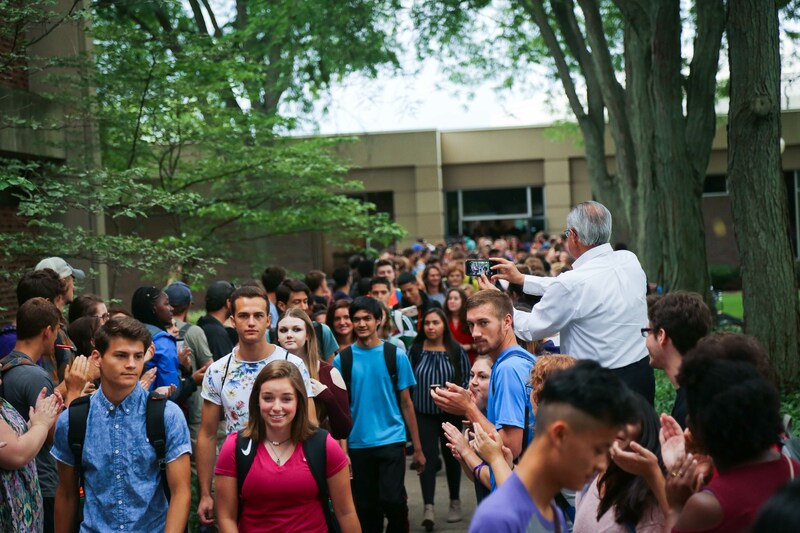 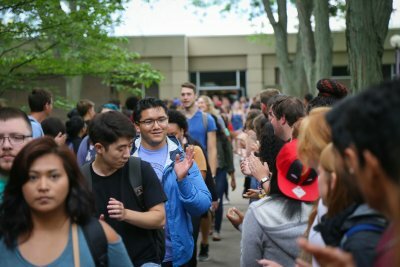 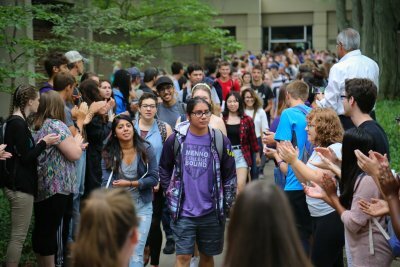 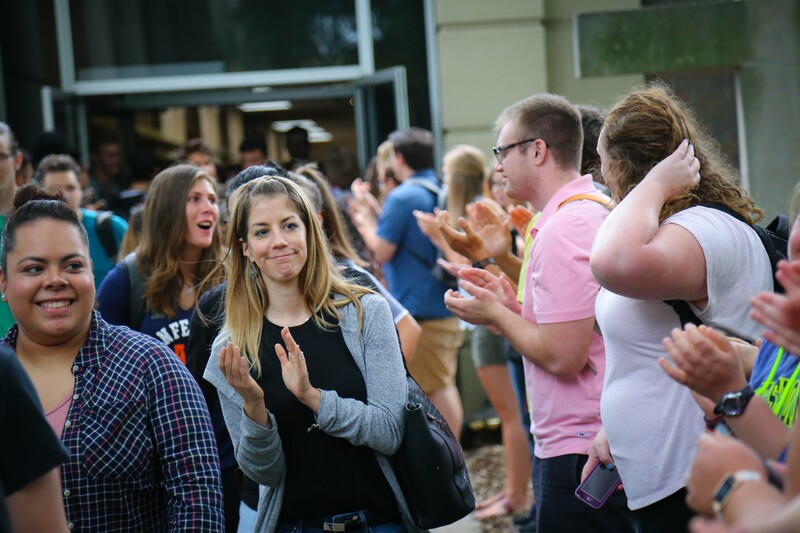 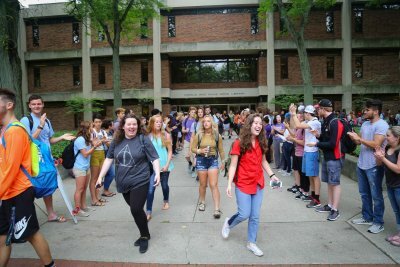 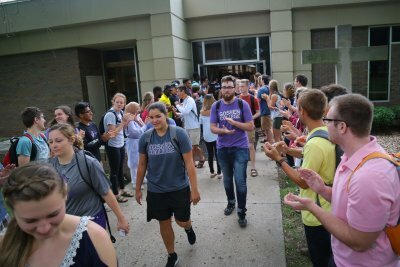 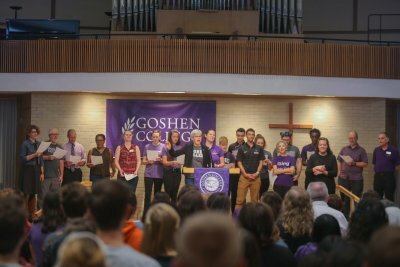 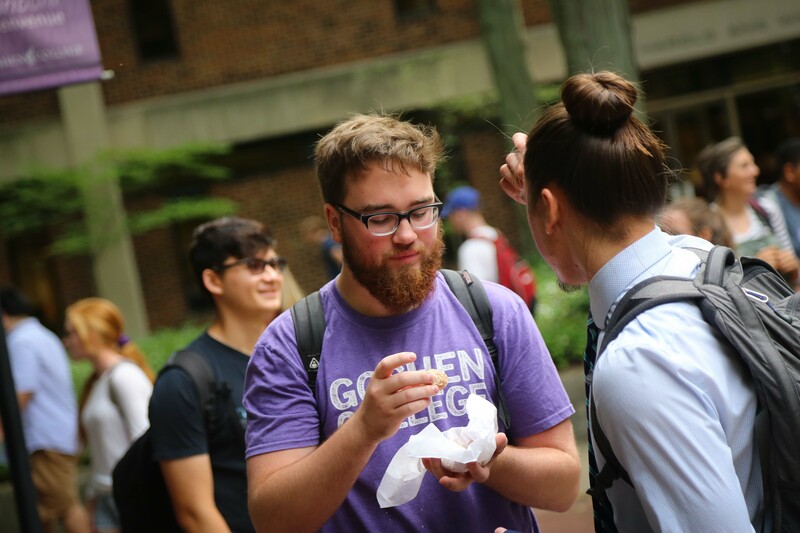 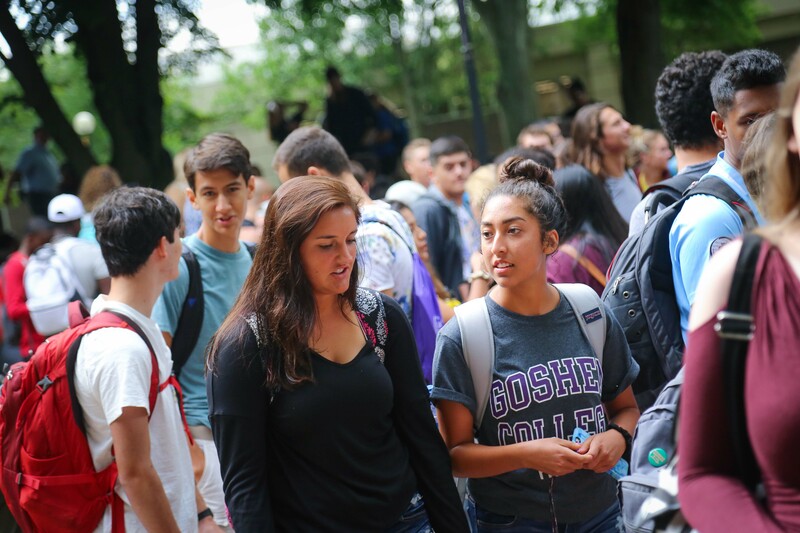 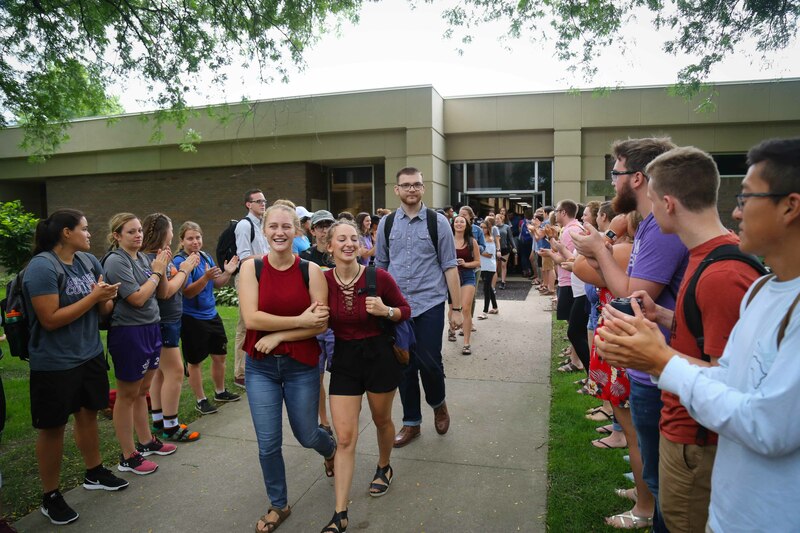 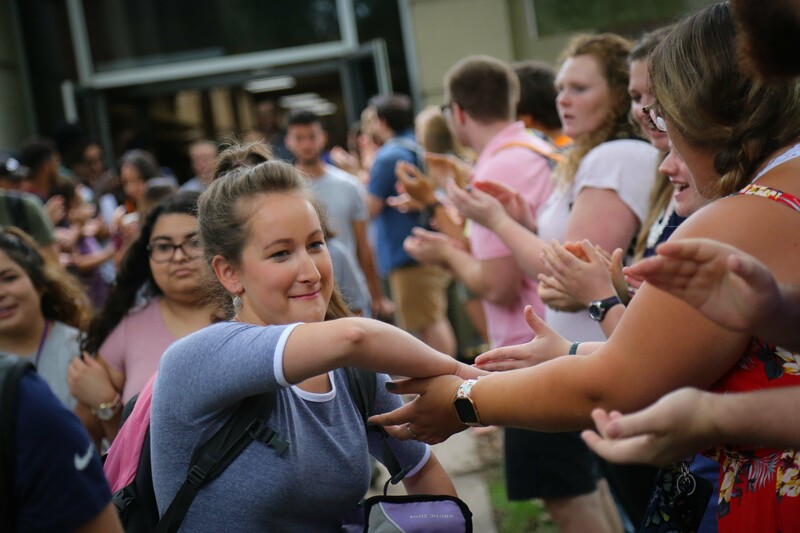 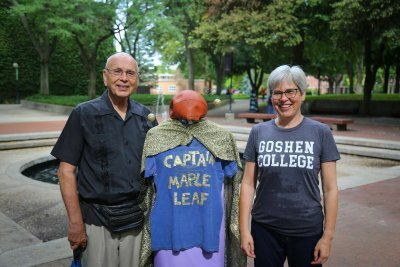 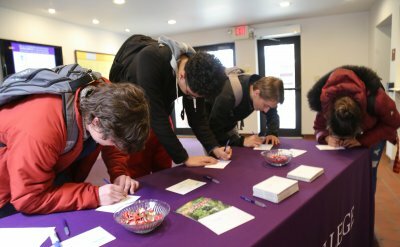 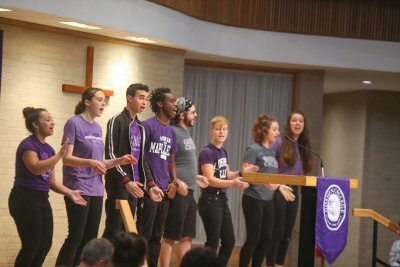 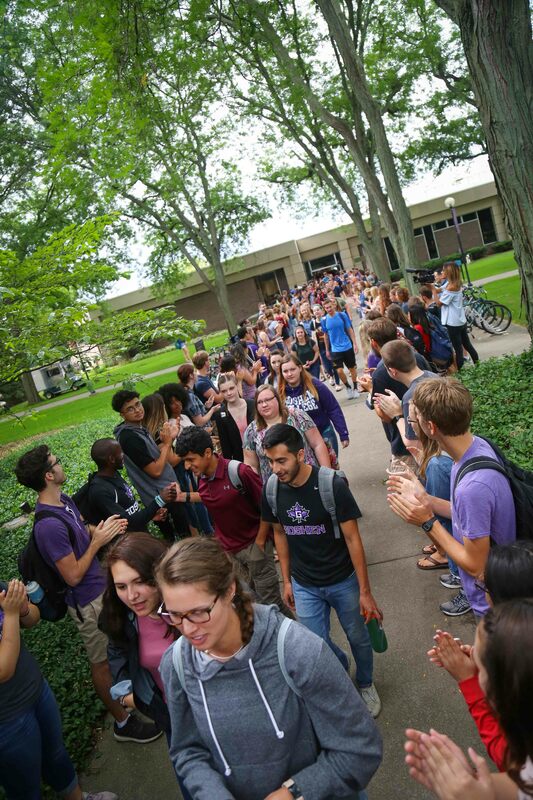 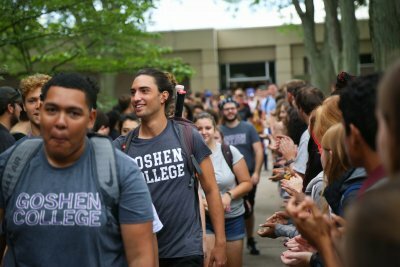 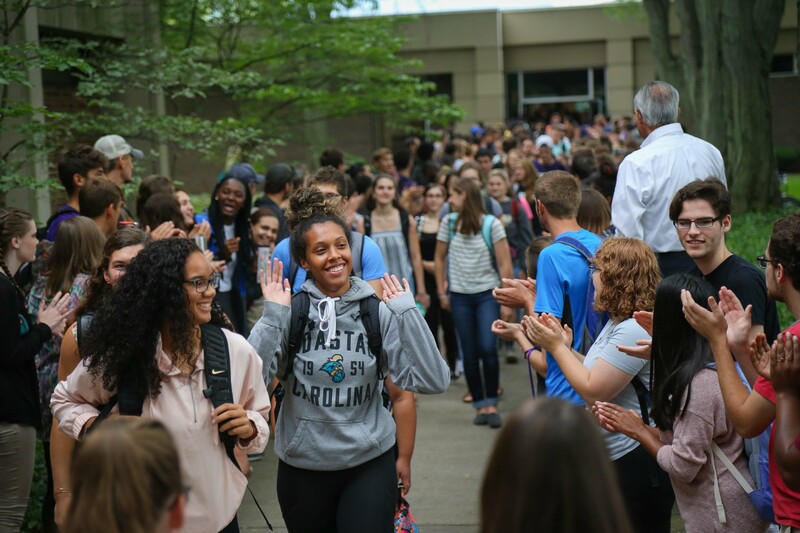 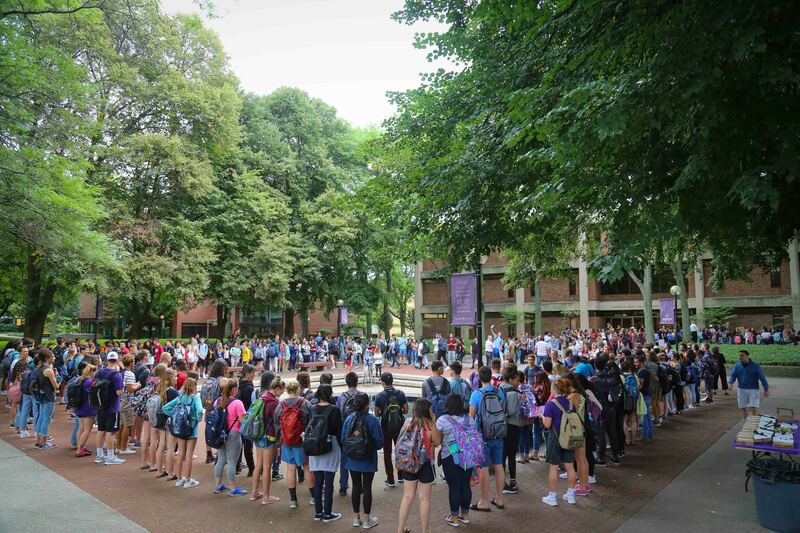 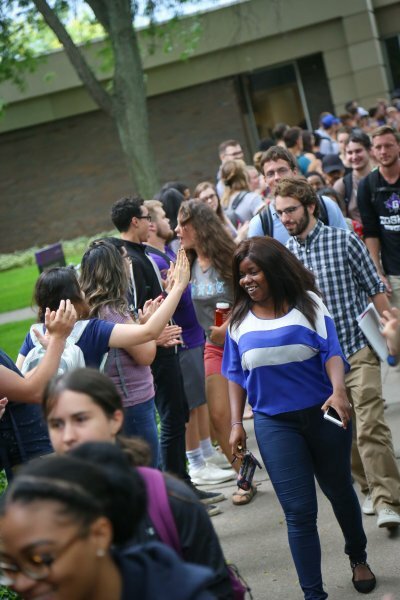 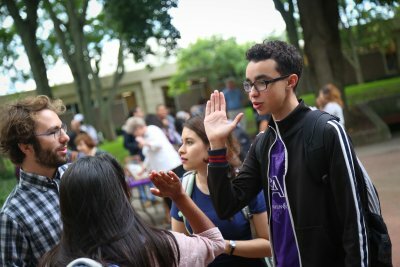 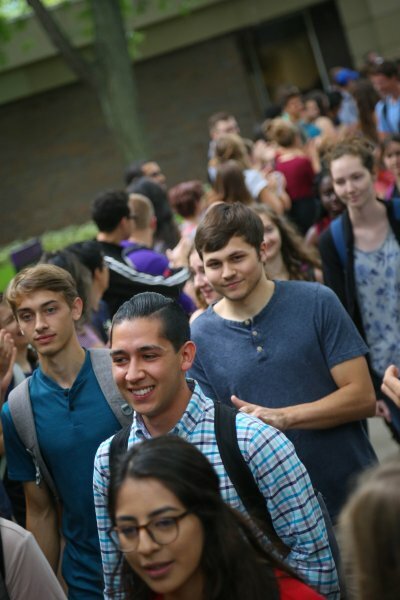 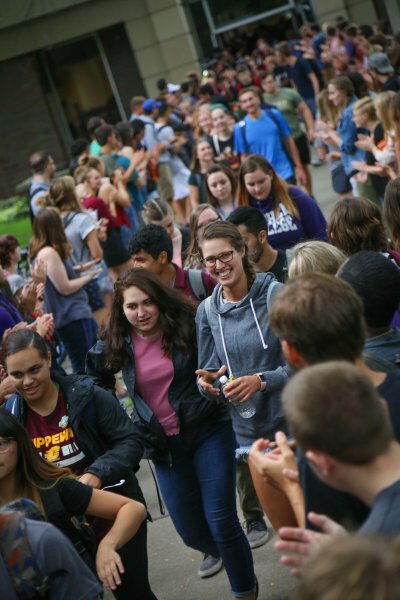 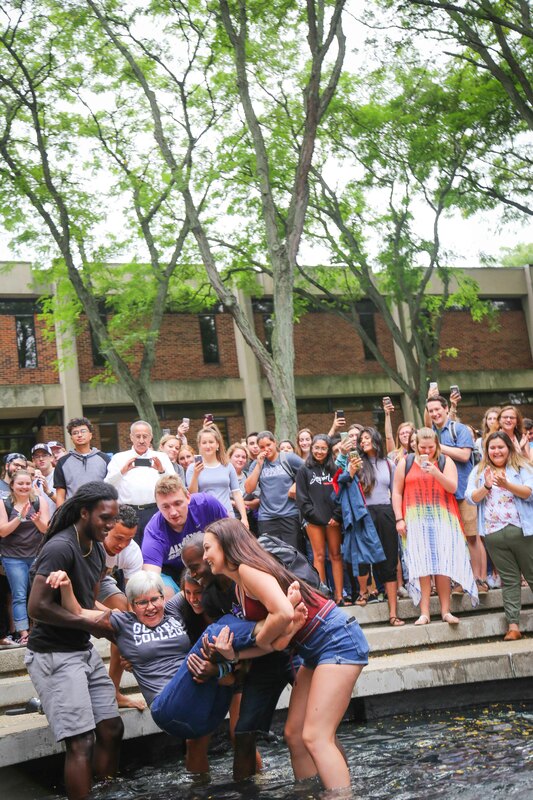 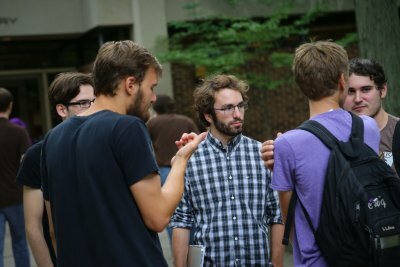 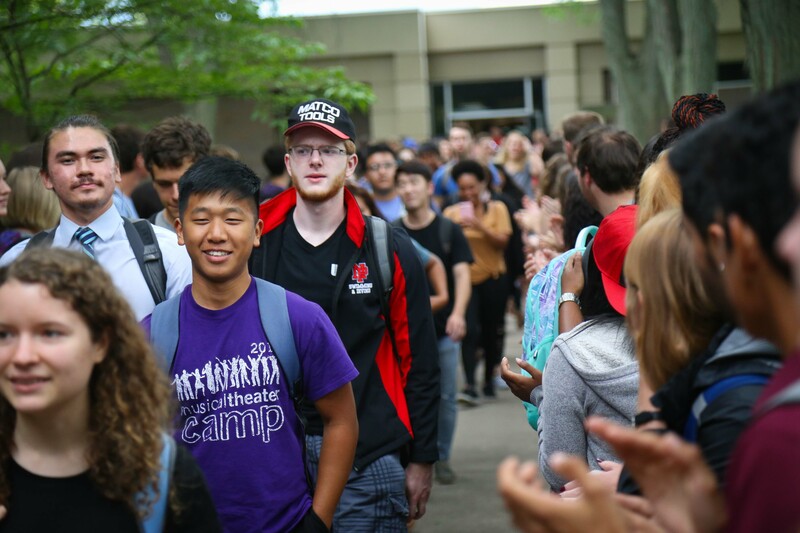 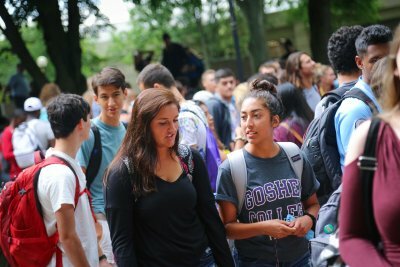 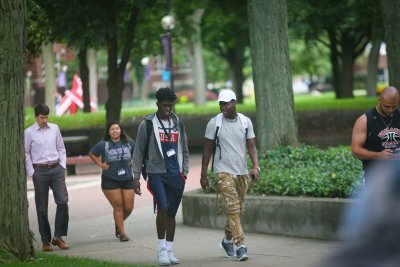 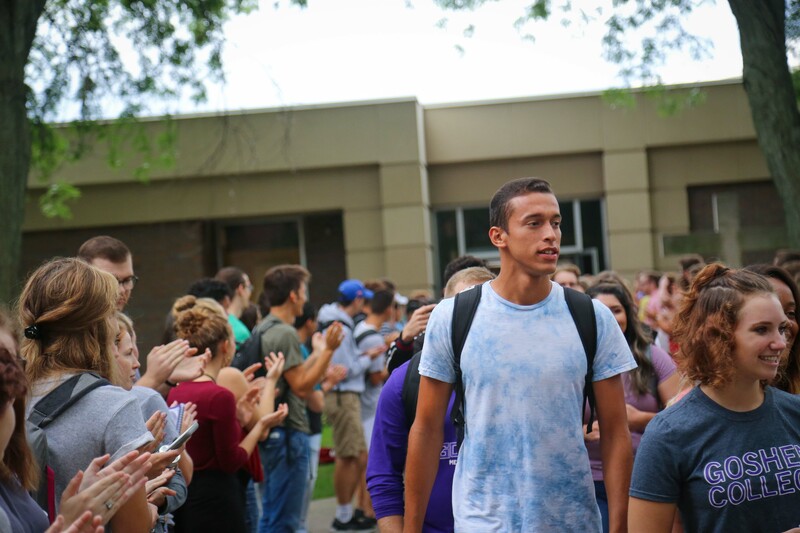 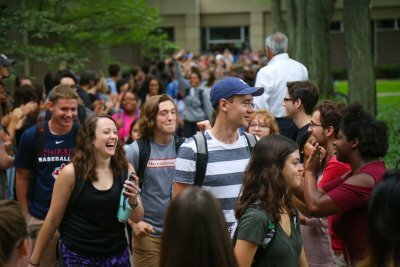 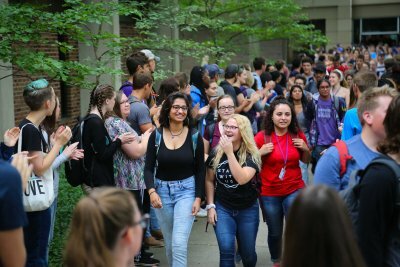 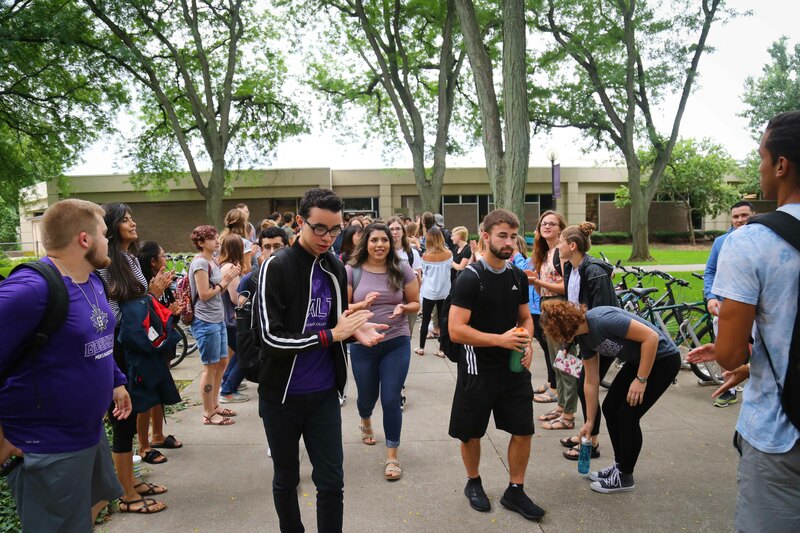 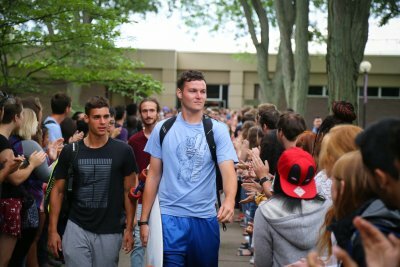 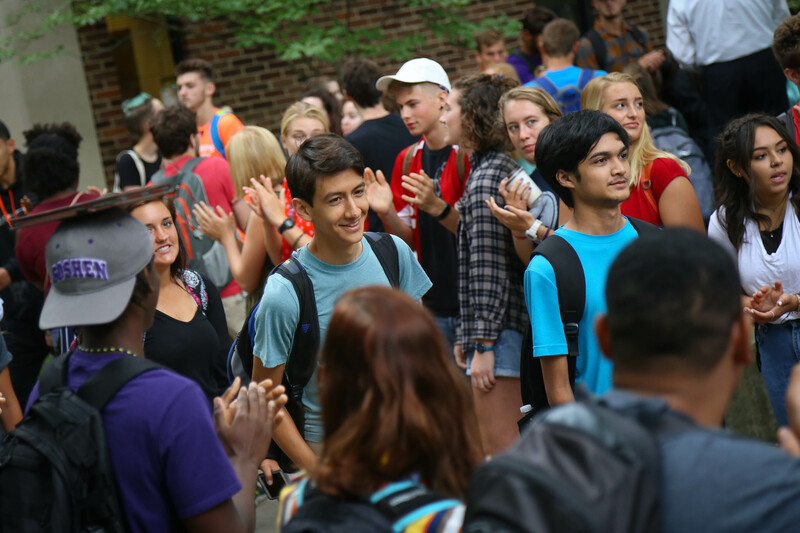 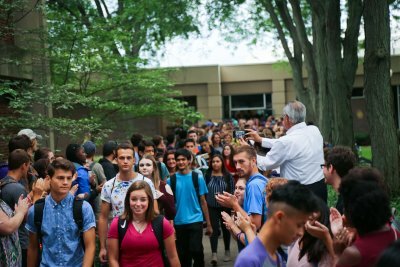 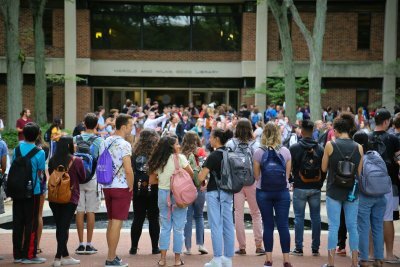 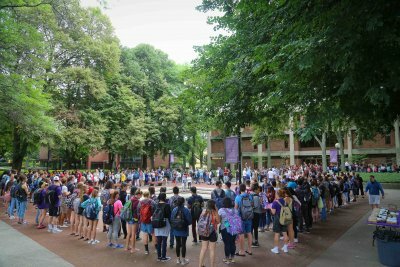 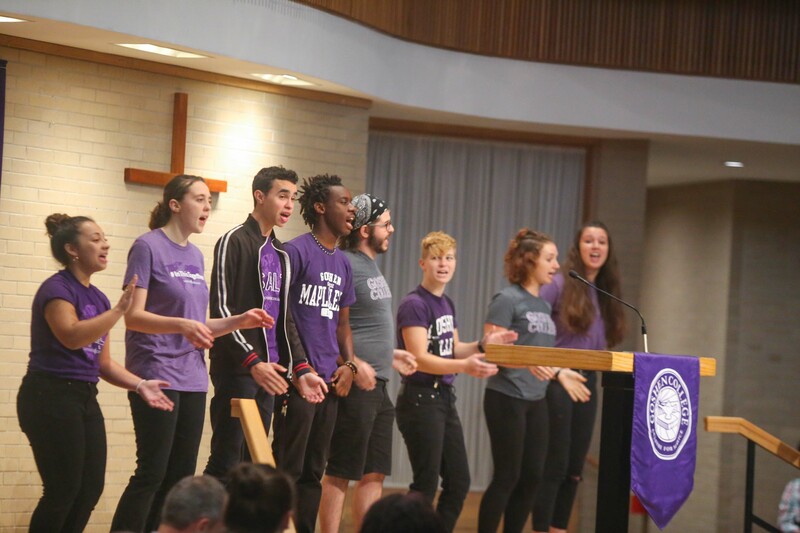 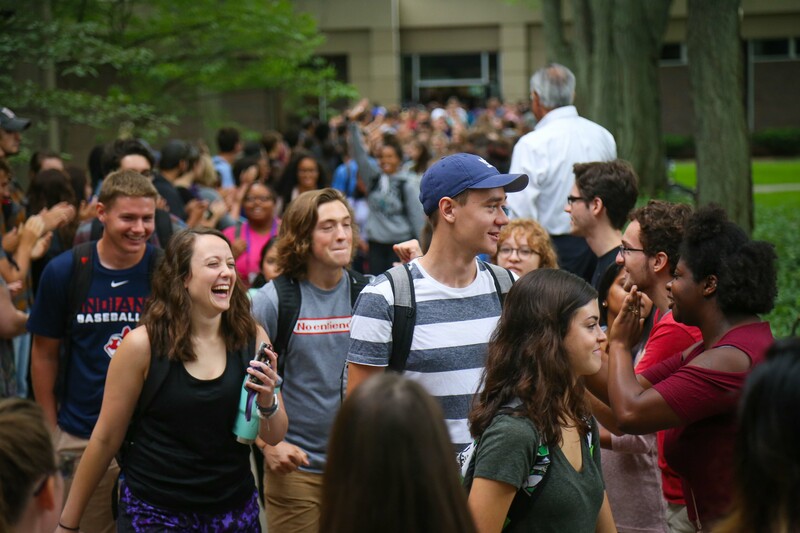 Following the convocation, staff and students lined up for the annual applause tunnel, a GC tradition that welcomes new and returning students back to campus. 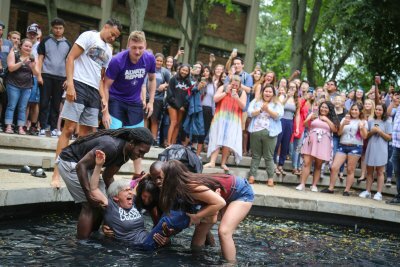 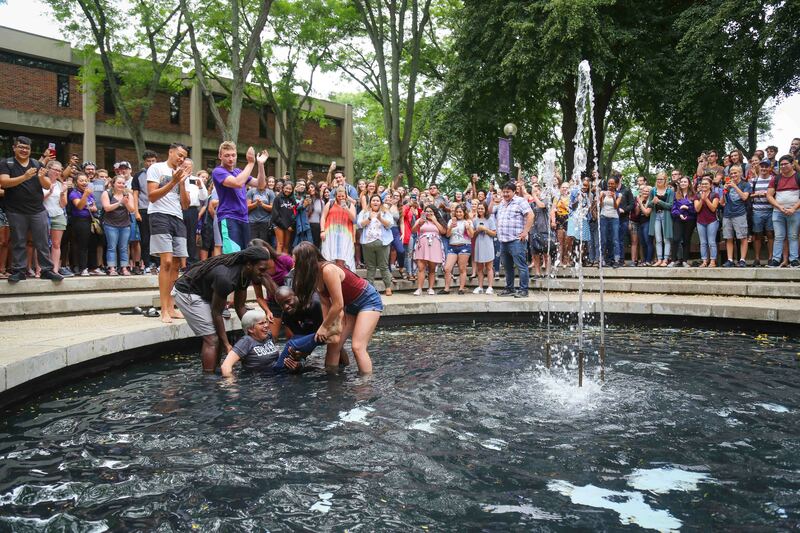 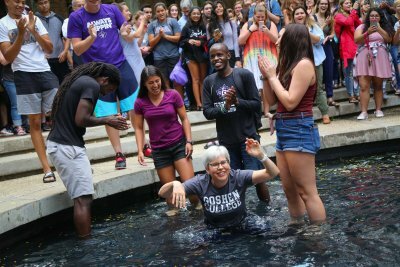 As students gathered around Schrock Plaza, President Stoltzfus was carried through the tunnel and then dunked in the fountain, a tradition for new presidents that goes back to 1971 when students dunked President J. Lawrence Burkholder during his inauguration celebration activities.